The Jim Lee/Scott Williams variant of Justice League #7 was the top reordered comic in last week in a Diamond chart laden with hardcover releases. 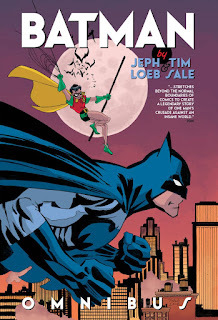 Jeph Loeb and Tim Sale's Batman Omnibus was the top reordered item by invoiced dollars. Marvel's top reordered book comic was Old Man Logan Annual #1. Click to see the reorder charts for September 2018. Venom #7 was the top advance-reordered October comic. We're starting to see Local Comic Shop Day advance reorders; it's on Nov. 17 this year. The top advance reordered item by dollars last week was a black-and-white LCSD variant of the Brave and Bold Batman/Wonder Woman hardcover. Click to see our advance reorder charts for the month of October 2018.